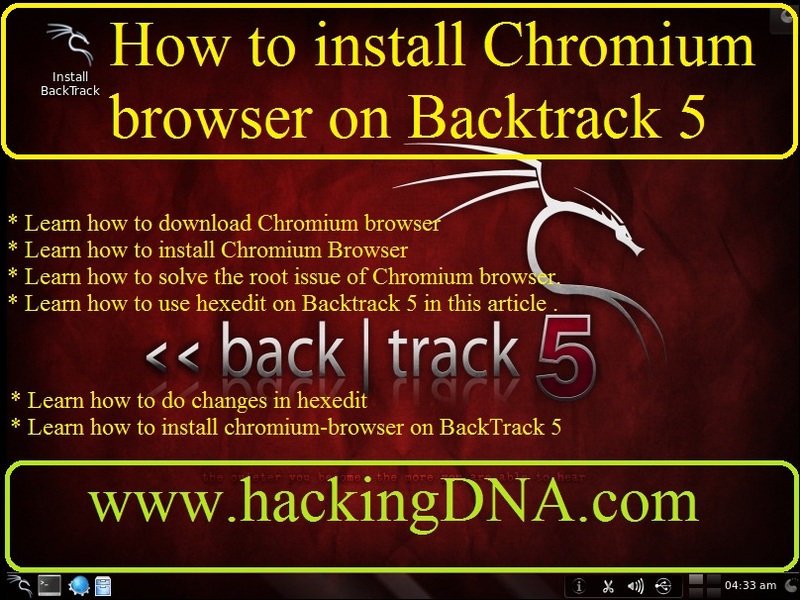 Learn how to Download and Install Chromium-browser in Backtrack 5 . 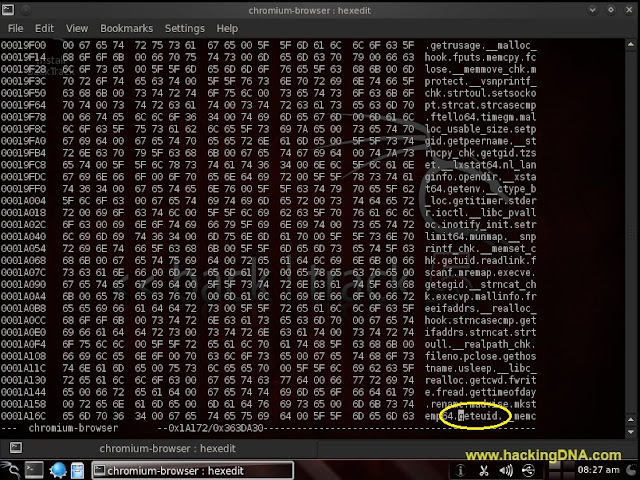 Learn how to Fix the root issue in Backtrack 5 using Forensic tool hexedit . Download and Install Chromiuim Browser in BackTrack 5. Fixing Root Problem using hexedit in Backtrack 5. Run Chromium-browser in Backtrack 5. Use apt-get install command to download and install the Chromium Browser. ls : used to see the files and directories. 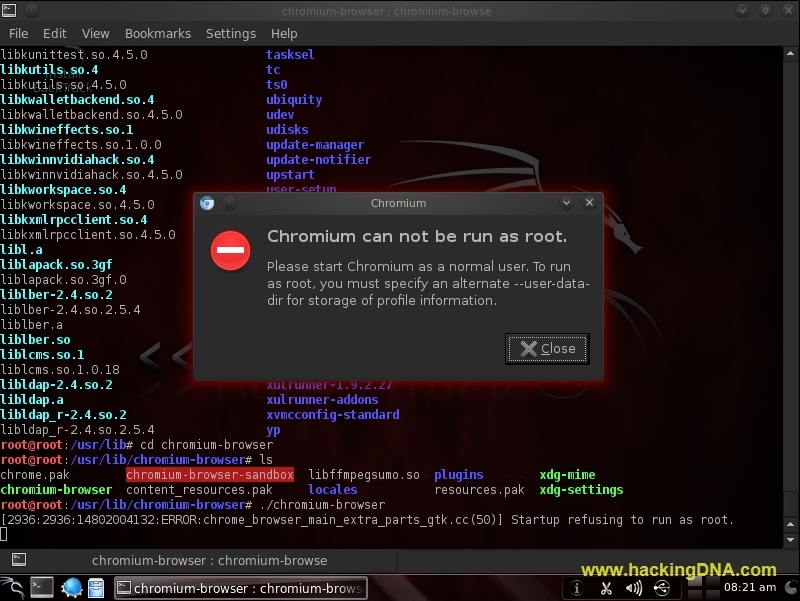 As I enter the command to run the chromium-browser it gives an error . Error : It says chromium cannot be run as a root . To fix this error , we need to open hexedit tool . 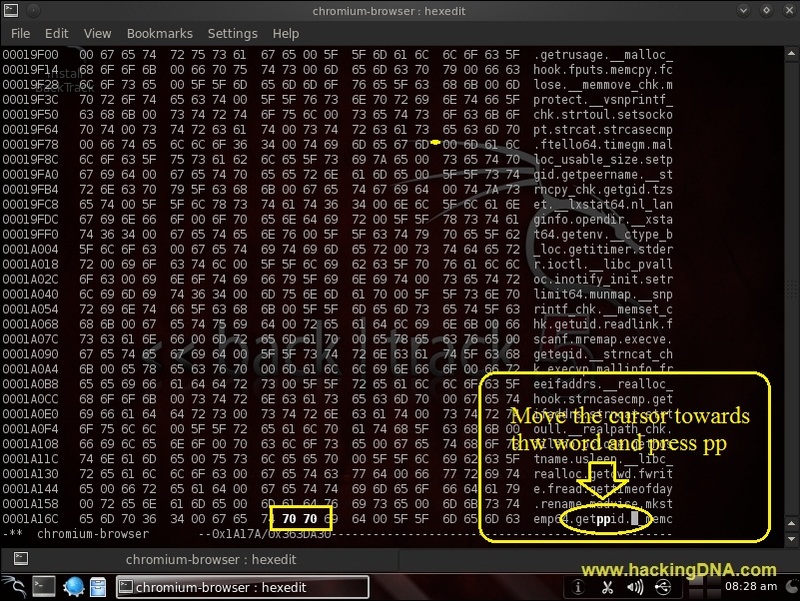 Chromium-browser open in hexedit . 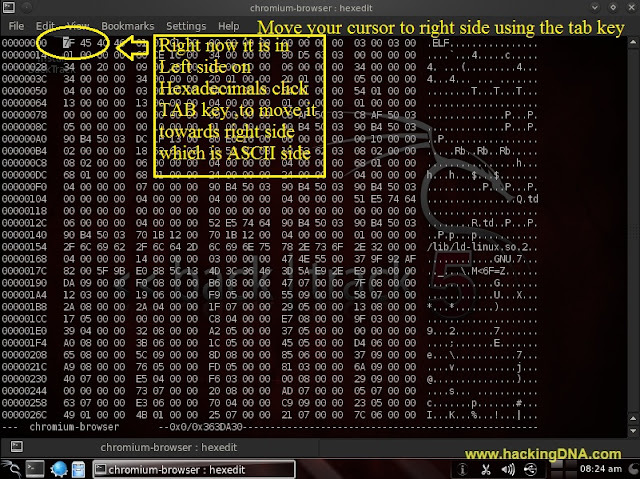 Now move the cursor towards right side (ASCII side ). Press the Tab key to move cursor from left to right . Search string is found now . Move the cursor towards the word with arrow keys and change geteuid into getppid . Now Press Ctrl + x to save the changes . 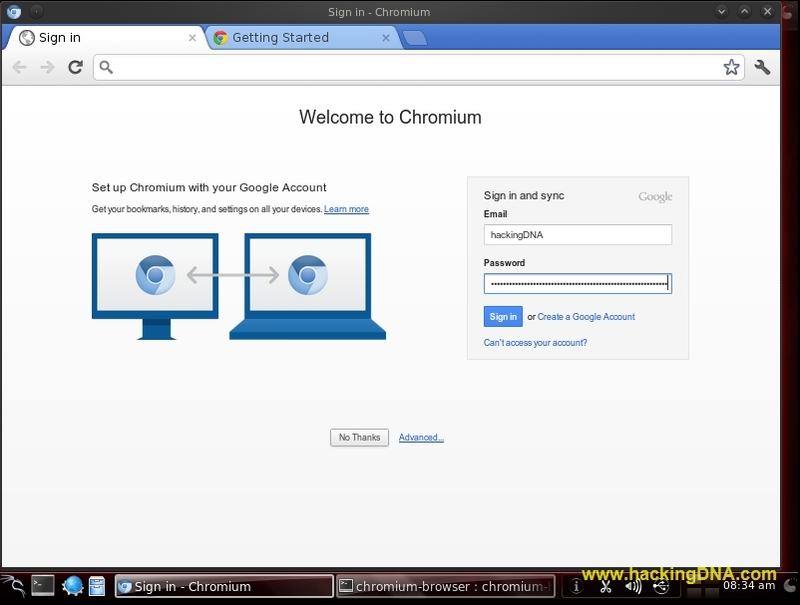 Your chromium-browser is successfully open now . Enjoy !!! 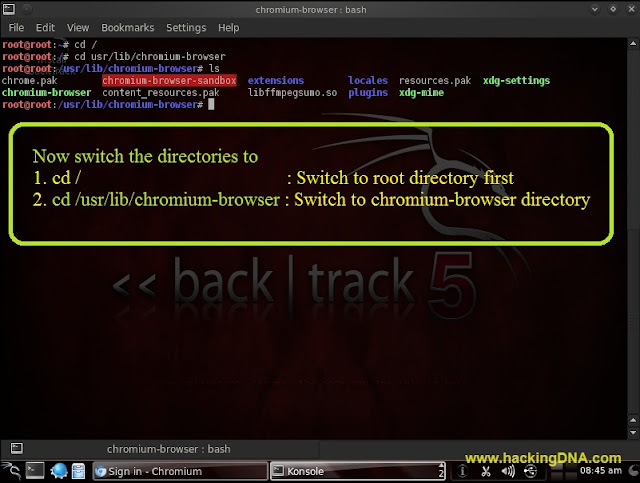 This is how we can install and fix the root error in Backtrack 5 . If you like this article then , don;t forget to drop a comment . or you can just use a text editor and edit the last line of the file by appending --user-data-dir to the end of the line. Much simpler. 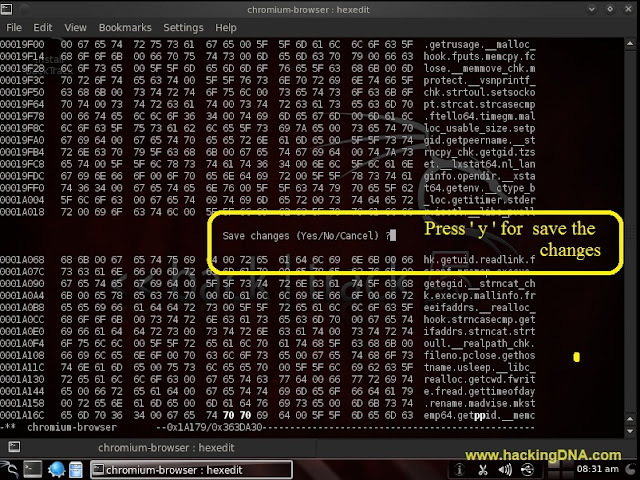 thank you , keep following www.hackingdna.com for more tutorials . great tutorial. thanks. exposes readers to another useful tool.